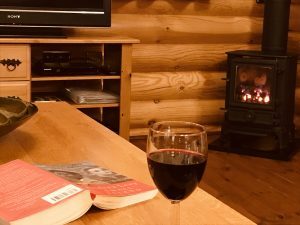 A log cabin winter break at Windmill Lodges is the perfect antidote to what can sometimes be a grey and dreary time of year. If you need to take some time out to get the “spring back in your step” then a short break in one of our holiday lodges in Suffolk could be the answer. Our authentic log cabins are made from 8″ round logs built using the Swedish cope method. This log cabin build design you can find in Canada, Sweden and Norway to name a few. They have excellent insulation properties and you can be assured they are warm and cosy even in the coldest winter. If you simply want to hunker down and escape the rat race you will find all you need in your lodge; the kitchen is well equipped for you to prepare those winter meals, from warming soup, to hearty stews or even to bake a comforting cake. The lounge has comfortable leather sofas for you to sit back and relax; whether its reading that book you’ve been wanting to find the time to enjoy, or watching a DVD and with the under floor heating and coal effect gas fire you’re going to be warm and cosy. A winter walk is sure to blow the cobwebs away, don your wellington boots and from our site you can access the footpaths over the neighbouring fields. Or turn right out of the driveway onto the village green and take a short stroll to the village pub! 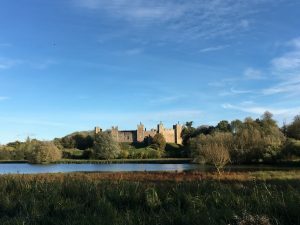 If you want to go further afield just two miles away is the small market town of Framlingham with its impressive castle, take the footpath around the mere to see it, in its full beauty. The heritage coast is only half an hours drive from us where you can enjoy a bracing walk along the beach on a winters day. 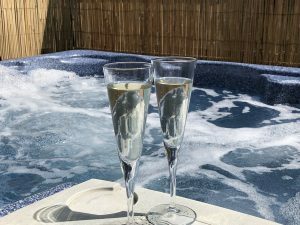 When you return from your walk you can relax in your hot tub; perfect for easing aching muscles. We are fortunate to have very little light pollution and its a special treat on a crisp cold evening to be able to appreciate our starlit night skies whilst enjoying the warmth of your hot tub. 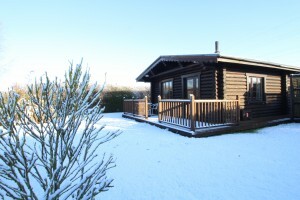 We are a small family owned and run site with just seven log cabins, to find out more about each of our lodges please click here If you are unsure as to which lodge will best suit your requirements please email the office or call us on 01728 685338 where Angela and Lisa will be happy to help.